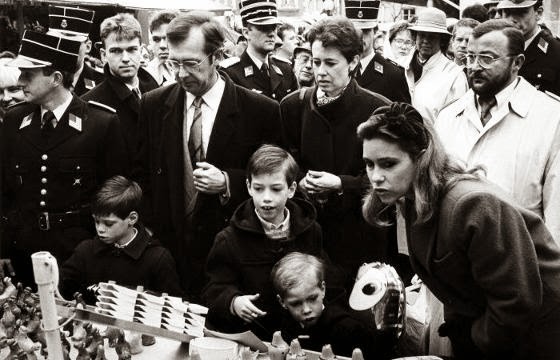 With Hereditary Grand Duke Guillaume and Hereditary Grand Duchess Stéphanie visiting the Eemaischen on Monday, I thought we'd have a look back on previous visits by the Grand Ducal Family to the traditional Easter market in Luxembourg City. 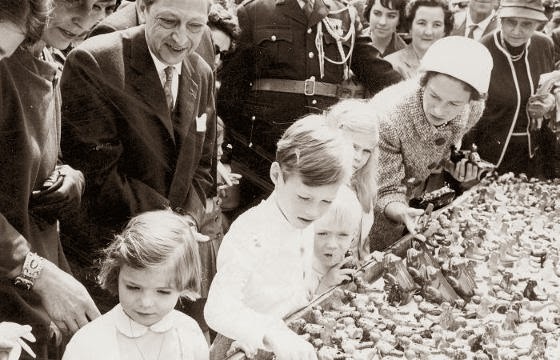 Grand Duchess Joséphine-Charlotte as well as her four oldest children (from left to right) Princess Margaretha, Grand Duke Henri, Prince Jean and Archduchess Marie-Astrid looking at some Péckvillercher in 1962. 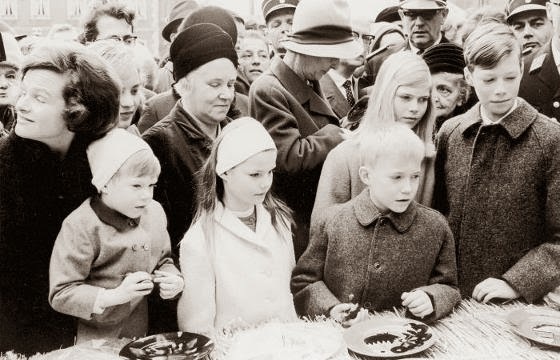 (From left to right) Prince Guillaume, Princess Margaretha, Prince Jean, Archduchess Marie-Astrid and Grand Duke Henri visiting the Eemaischen together with a nanny in 1967. 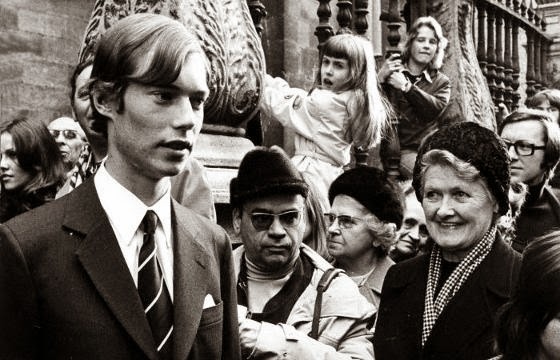 ...and a grown-up then Hereditary Grand Duke Henri at the Eemaischen four years later, in 1979. 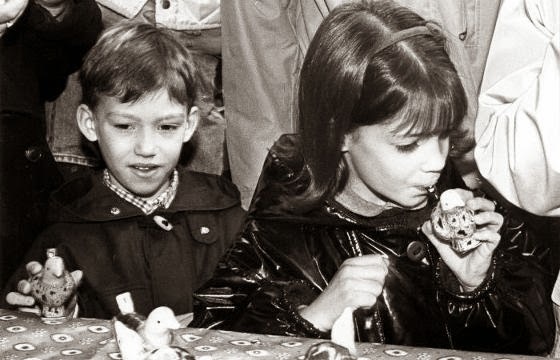 The infant Prince Guillaume trying out a Péckvillchen at the Eemaischen in 1983 which he visited together with his parents, then Hereditary Grand Duke Henri and Hereditary Grand Duchess Maria-Teresa. 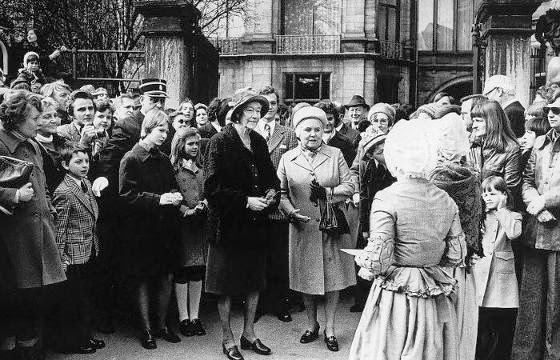 ...and five years later, in 1995, it's time for Princess Alexandra and Prince Sébastien to try out the little bird whistles at the Eemaischen.